Is it a phone or a tablet? Well, according to Kata it is both. The Kata T Mini is one of the company’s newest offerings. We spotted one on at the recently concluded Smart Bro Gadget Expo. At first, we thought that the T Mini is a WiFi only model so we were surprised to see this demo unit with phone capabilities. Not just that, it is dual SIM capable too! 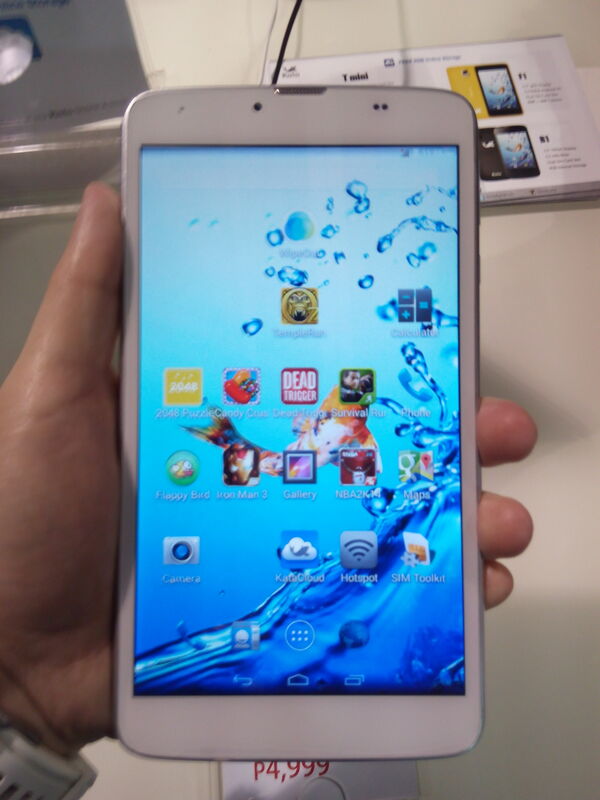 Anyway, this is a huge phone but a little too small for a tablet. Despite its huge body it is quite lightweight. It is manageable to hold with one hand but just by holding it. You need to two hands when operating it. Display is decent but resolution is fairly low (1024 x 600 pixels). We noticed that the demo unit has games like Dead Trigger. We played for a while and the game ran smoothly thanks to its 1GB RAM. 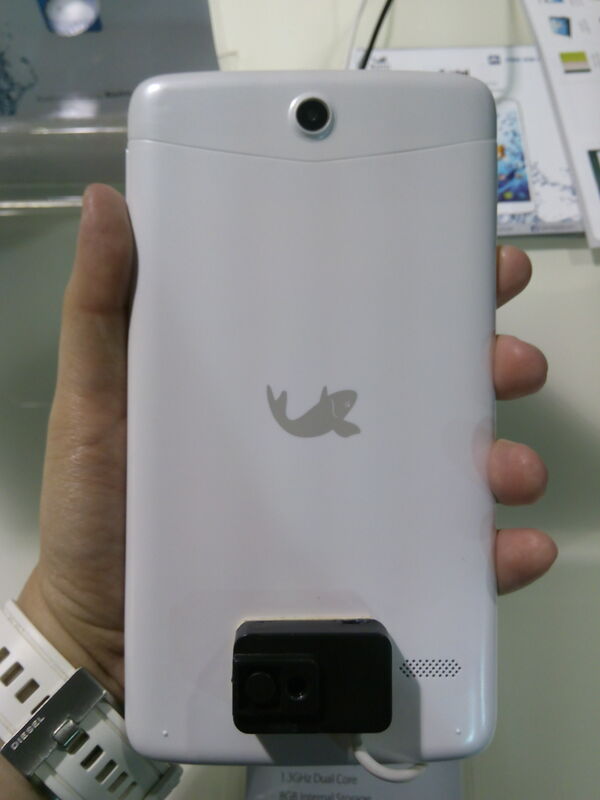 Previous articleCherry Mobile’s #TheBigReveal – Cherry Mobile Flare 3, Ang Phablet ng Bayan!